Whether you have a small office or are part of a larger organization, we can be your local Information Technology department by supplying you with the services you need. Many networks have originated by slowly adding more computers, printers and other networked devices over time. Most companies do not plan for growth when starting with only a few workstations. This results with network inconstancies composed of reduced bandwidth and dropped packets. 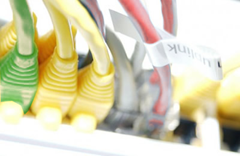 We will lend you our expertise at your place of business by optimizing your network hardware, provide suggestions and any additional network expansions required. Share and untether your printer from your computer by putting it on your network from a centralized location. This allows printing from multiple computers without the need to keep any specific machine on at all times therefore reducing your energy consumption and simplifying future setup on additional workstations. We utilize various backup methods and can help you develop a strategy to make data and disaster recovery a breeze. We believe that periodically testing backups will help eliminate any undetected conflicts and ensure your protection. Unlike other ‘Out-of-the-box’ solutions, we assist you by taking direct control of what is backed up, to where and when. Unfortunately, all new wireless routers and access points will work right out of the box with no configuration. Techrite will assist you to adjust your Wifi components to lock down your network therefor protecting your entire network from outside invaders and prevent your internet bandwidth from being abused. 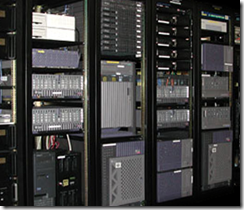 Administration and preventative maintenance will virtually eliminate system downtime. By simply opening a computer up, cleaning the dust out and visually inspecting the motherboard along with all other components will greatly extend the life of your office equipment. Other workstation administration services we prioritize are operating system updates, antivirus software functionality, deletion of temp and other useless data files, hard disk defragmentation, etc. We specialize in implementing Virtual Private Network (VPN) techniques. VPN is typically used for connecting multiple office networks together over the internet and allows you and your staff remote access when away from the physical office. VPN technology enforce encryption and ACL methods to provide a safe and secure outlet to your corporate infrastructure. Techrite is available to lend our expertise to assist implementation of new technology in your office. We will help you develop an implementation plan comprised of strategies tuned to the specific needs and requirements of all variables. Expansion and upgrading your infrastructure can be performed with a minimum impact on your business. We understand that your computer equipment are valuable tools in your business and we will help you be successful.